Uncertainty over how clearers will handle issues related to segregation and insolvency are hampering preparation for new OTC derivatives rules, UK-based buy-side trade body the Investment Management Association has warned. Uncertainty over how clearers will handle issues related to segregation and insolvency are hampering preparation for new OTC derivatives rules, UK-based buy-side trade body the Investment Management Association (IMA) has warned. 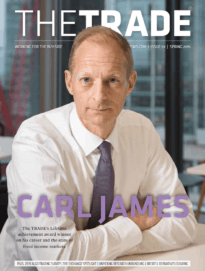 Speaking to theTRADEnews.com, Jane Lowe, director of markets at the IMA, whose members hold a total of £3.9 trillion assets under management, said institutional investment clients of clearing members were lacking crucial information on segregation arrangements. Lowe said IMA members needed legal documentation with details on how assets will be protected and the types of segregation and other issues related to how clearing members need to interact with a CCP. Segregation gives money managers the ability to legally and operationally separate their margin collateral and positions in the event that a clearing member or the clearing house itself goes bankrupt. Although some clearing houses such as Deutsche Börse-owned Eurex and CME Clearing Europe have addressed a number of these issues, Lowe suggested that many other large central counterparties – including LCH.Clearnet and ICE Clear Europe – have been slow to provide detailed descriptions of their offerings. Under the European market infrastructure regulation (EMIR), OTC derivatives will have to be standardised where possible so they can be centrally cleared and traded on exchange-like platforms, requiring buy-side firms to commit margin against their swaps exposures to mitigate systemic risk. 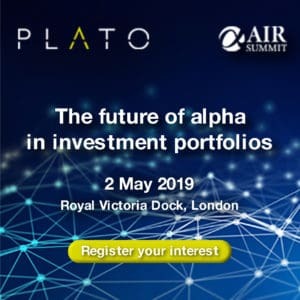 Under the regulation, clearers will take the lead in deciding what instruments can be made eligible under a framework overseen by regional securities watchdog the European Securities and Markets Authority (ESMA). Deciding the approach for determining which instruments should be cleared is part of the technical standards for EMIR that are currently being worked out by ESMA, which also include deciding what types of assets can be held as collateral and dealing with swaps that are incompatible with clearing obligations. Lowe urged CCPs to put forward the types of swaps they deem to be suitable for central clearing sooner rather than later, saying that this is crucial is guiding when institutional investors must clear and when they can choose to clear. Although EMIR is meant to come into force at the start of 2013, in line with commitments made by the G-20 in its 2009 Pittsburgh summit, Patrick Pearson, head of financial market infrastructure at the European Commission, has admitted that some aspects of the new rules will likely be delayed. Speaking at the TradeTech Swaps and Derivatives conference in London yesterday, Pearson said Europe will not be subject to mandatory clearing by 1 January 2013 and added that the G-20 may need to revise its timetable for reform, because of the lack of progress globally. The delay will ease industry fears of rushed regulation after Verena Ross, executive director, ESMA, stated last week that the regulator intends to hold a further consultation on technical standards in June and hold a public hearing in July, leaving ESMA with little over two months to meet its September deadline for completed work on technical standards.